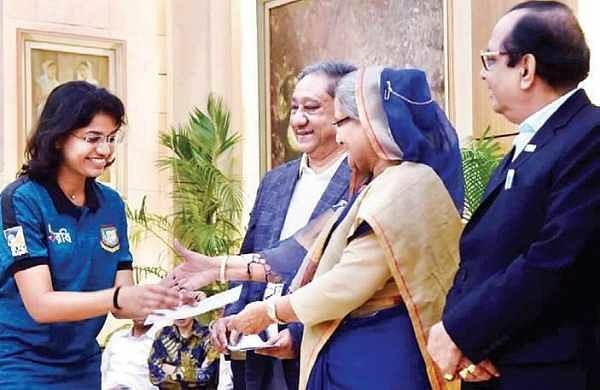 New Indian Express – MUMBAI: Behind the Bangladesh cricket team’s maiden Women’s Asia Cup T20 title, three Indians — including two from Maharashtra — have toiled hard away from the spotlight. MUMBAI: Behind the Bangladesh cricket team’s maiden Women’s Asia Cup T20 title, three Indians — including two from Maharashtra — have toiled hard away from the spotlight. Bangladesh cricket team’s head coach Anju Jain, assistant coach Devika Palshikar and physio Anuja Dalvi-Pandit are credited with grooming the Bangladesh cricket team. In 2009, she took over as a coach for the Assam team and then has groomed Mumbai, Goa and Maharashtra teams. Due to concerns regarding safety and communication, she was a bit hesitant to take over the responsibility of the Bangladesh team. Team physio Anuja graduated in physiotherapy from the Mumbai’s KEM hospital and did a specialization in musculoskeletal and sports physiotherapy from an Australian university.